The Bay Area is where start-ups come to be born, (hopefully) thrive, and, in unfortunate cases, die. Whether it’s hardware, software, or somewhere in between, surviving in the Bay as an entrepreneur is a tough thing to do. And when it comes to food, it’s even tougher. Faced with a mountain-high pile of permitting and regulations to figure out, skyrocketing rent costs, and increasingly difficult to hire skilled labor—all on top of a razor-thin profit margin—making a food startup work is not an easy thing to do. That’s not to say it’s impossible of course—a good idea and a lot of grit can get you far, but a lack of resources can really stimy the progress. Thankfully, there are places in the Bay that aim to champion the budding food entrepreneurs that are here, providing them with space, equipment, and even mentoring to help them achieve their food dreams. We’re taking a look at five Bay Area co-working spaces that are giving food start-ups a literal home to grow into successful businesses. Success stories like Azalina’s, Kika’s Treats, and Minnie Bells are testaments to how vital it is to have spaces providing this type of support in such a rough business landscape like San Francisco. BiteUnite's kitchen is fully equipped with commercial equipment for all members to use and share. 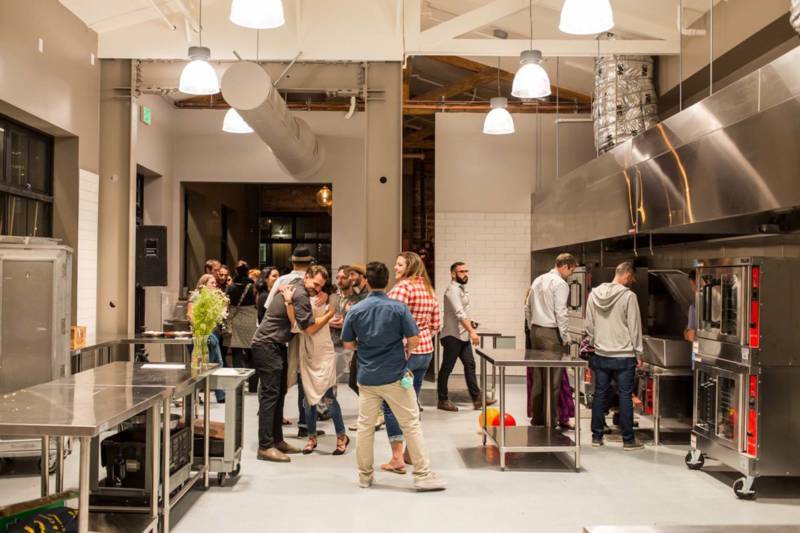 A concept that originated in Hong Kong, BiteUnite is one of the newest co-working kitchens to hit the Bay Area. 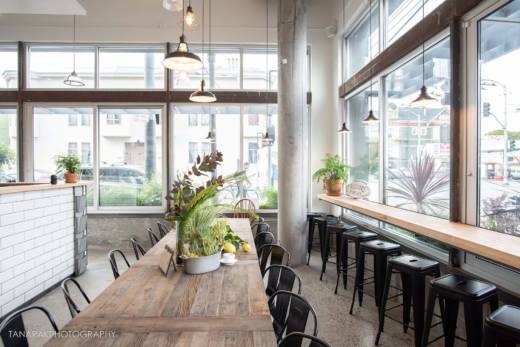 Situated in the Mission, BiteUnite is one part shared kitchen, one part incubator, and one part cafe and event space. The fully outfitted kitchen is open to all members of the kitchen, who can reserve stations in the kitchen online at an hourly cost with additional fees for storage. While the cafe portion of BiteUnite is open to the public during the day (where it sells a variety of sandwiches, local pastries, and currently a limited Thai food menu), members are able to rent out the space for their own events. There are also opportunities for members to work with the full-time BiteUnite staff to coordinate efforts to monetize and test their business, like offering a pick-up service for their products. Patta Arkaresvimun, the founder of Bite Unite, saw the incredible and oftentimes prohibitive costs associated with opening a food business in Hong Kong, and seeing a similar issue in San Francisco, she uprooted her family from Hong Kong to the Bay to open her co-working kitchen. With an established social media following from its kitchen in Hong Kong, BiteUnite also puts in an effort to leverage digital marketing to promote its own chefs. They are currently accepting applicants for the kitchen which officially opens today. Their space is also available for rent for non-members for rent; interested parties are welcome to walk in to learn more. Nestled in the Shipyard and the Bayview, Eclectic Cookery is a hidden culinary gem in otherwise food desert-y neighborhoods. Founded by a team of friends who all worked in the food and hospitality industries, Eclectic has been around for a few decades and has weathered the Bay with countless food entrepreneurs, providing coworking kitchen space among its few kitchens in the Shipyard and Bayview. 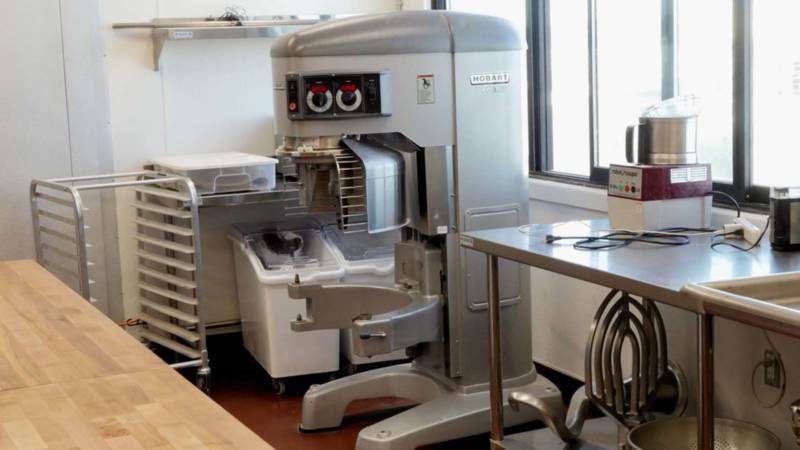 All of their kitchens provide commercial equipment and can be used for full-on production, recipe testing, or simply to store professional-grade equipment that cannot be kept at home. Eclectic Cookery members pay an annual fee and a modest hourly rate to use the kitchen with any storage fees on top of that, and they have access to the kitchens every day and any time of the day. Members are accepted on a constantly rolling basis, where several members have been around for years and call Eclectic their home base for their businesses. Kitchener is a convenient and super affordable option for those in the East Bay looking to get their food dreams into a reality. Started in 2012 by founder Sophia Chang, the kitchen used to take an approach similar to BiteUnite, acting as a marketing and incubator liaison for joining members. 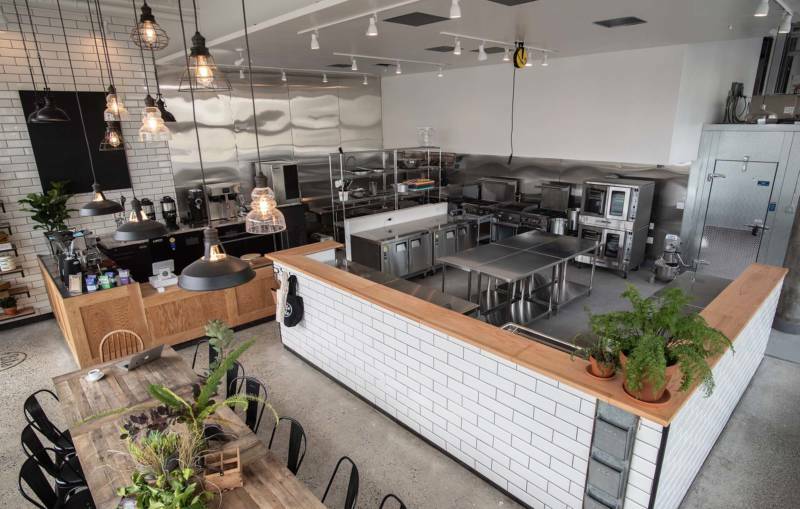 However, due to some personal life events and not a lot of significant growth and returns on Kitchener’s extracurricular efforts, the space transitioned into becoming a traditional shared commercial kitchen. While not offering the same outside amenities and activities as before, Kitchener remains a quality co-working space that won’t break the bank at just $14-23 per hour. As Chang points out, Kitchener is a very affordable option for up and coming entrepreneurs who can get a similar support that they previously offered through other free/ affordable resources like Kiva and the City of Oakland. By continuing to provide an affordable kitchen space, the entrepreneurs can pursue their own supplemental support channels. Another East Bay kitchen (just blocks from Kitchener), Forage Kitchen's counterpart, ForageSF is well known as a food company that enables people to become better in tune with their food and to understand what out there is edible and tasty. They do so by coordinating foraging trips (like hunting for mushrooms or harvesting seaweed) and providing food education. Founder of ForageSF, Iso Rabins, also founded Forage Kitchen: a decked out commercial kitchen for any food entrepreneur to become a part of. Rabins’ goal with Forage Kitchen is to support small businesses so that they could affect change in the food ecosystem at large. To accomplish this, Forage provides members with small batch copacking as well as business mentorship and support. Every first Friday of the month, members are invited to be a part of “Batchmade”, a monthly event that allows members to do a tasting of their products and enjoy live music and drinks with the public. 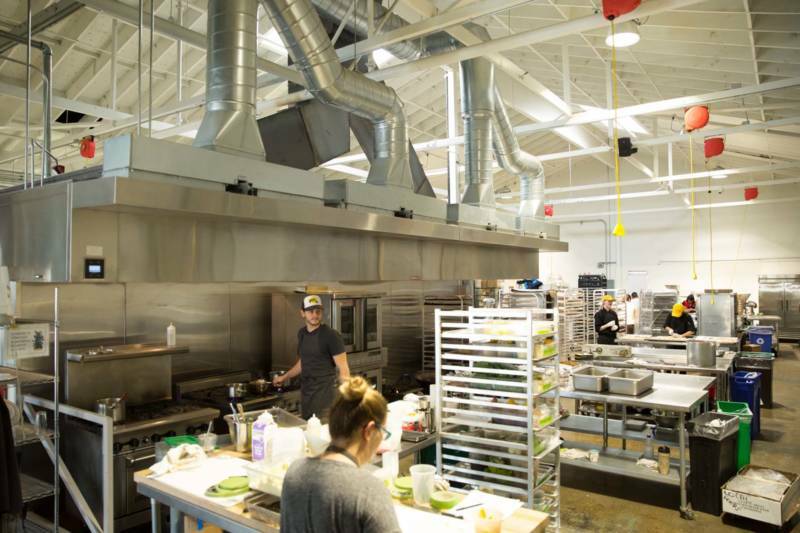 For aspiring food dream chasers in the South Bay, KitchenTown is a great option--however, beyond just geography, food entrepreneurs who want a true partner for this budding business should heavily consider KitchenTown. 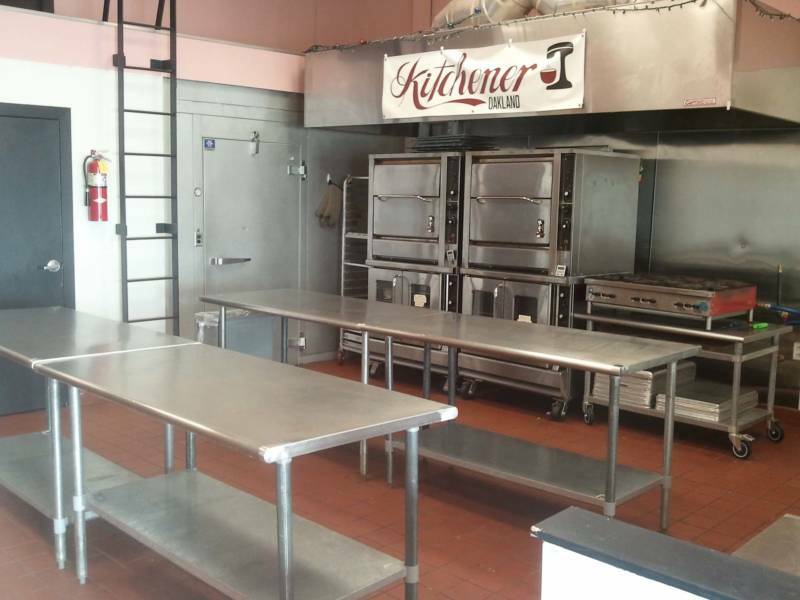 KitchenTown, similarly to BiteUnite and Forage Kitchen, provides more than a physical space for members to do production for their businesses. It also connects members with its growing list of mentors to further support them. In addition, KitchenTown has built-in educational components called KitchenTown Launchpad and Learning Lab to provide self-guided education to help entrepreneurs get their company off of the ground, as well as workshops with mentors to learn how to scale up their companies. The networks that KitchenTown leverages don't stop at mentorship. They will also act as a liaison with other established companies to be a learning experience for members but to also create long-lasting and mutually beneficial partnerships. You can apply for membership on the KitchenTown site. KitchenTown has facilities in San Mateo and in Berlin, Germany should you want to take your food dreams international.